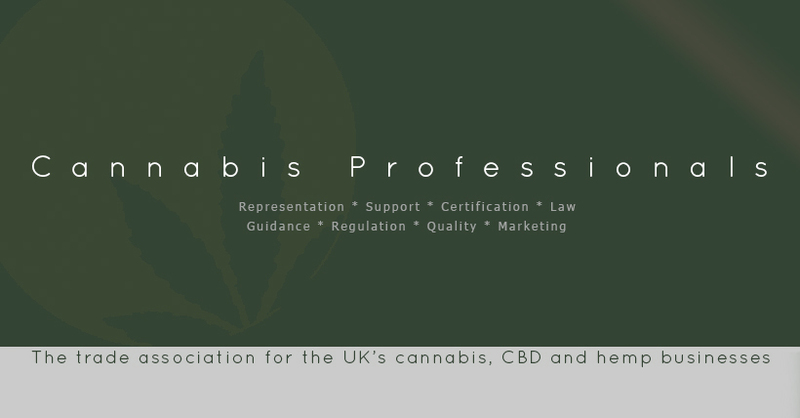 Cannabis Professionals (CannaPro) is the trade association for the UK’s cannabis, CBD and hemp businesses. CannaPro will represent this fast-growing sector to the authorities, standing up to the Home Office, MHRA, FSA and Trading Standards, advocating for members’ interests, not acting as a government enforcer but as our members’ champion and to promote the development of the legal cannabis sector. 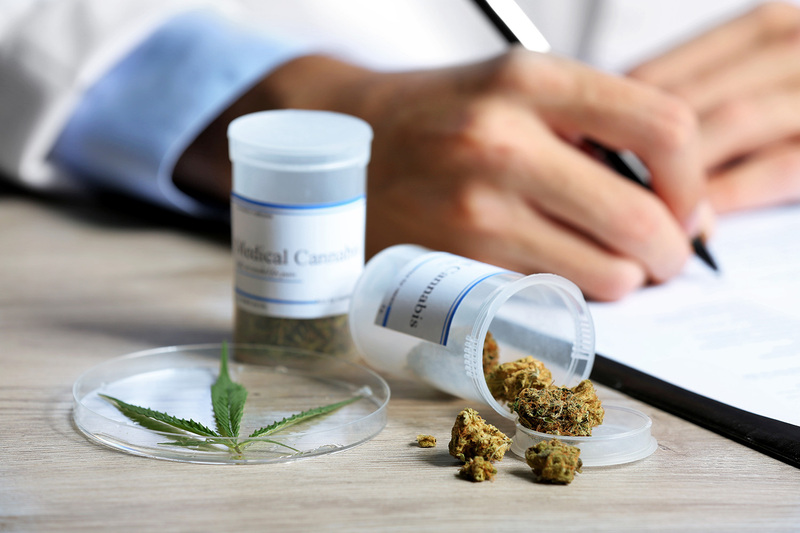 CannaPro will offer guidance and support to all businesses, helping them to navigate through law and regulations on drugs, medicines, food and cosmetics. CannaPro will also launch a social media campaign, aiming to inform and educate the public about the benefits of CBD and the pitfalls. The market is full of scammers, fake claims and snake oil salesmen. Because of the historic stigma and fear around cannabis, government authorities are doing nothing, many people are misinformed and misunderstand. CannaPro will explain the facts clearly and direct consumers to certified businesses which they can rely on. Membership of CannaPro is without charge. All guidance will be published openly for everyone to benefit from. Free-of-charge support and answers to individual questions will be available online. Businesses wishing to be certified by CannaPro will be reviewed for their products, trading standards, marketing and conduct. Certified companies will be entitled to display the CannaPro badge as a mark of quality, ethics and reliability. Backed by CLEAR, the UK’s longest-established cannabis group with a network exceeding all other UK drugs policy groups combined, CannaPro members will benefit from CLEAR’s wide reach and influence with UK consumers. There may well be some doctors who are corrupt and there are still, despite much improvement, serious questions over the relationship between pharma companies and doctors but the idea that every member of the Faculty of Pain Medicine who signed that letter to the Times is taking bribes is ridiculous. The real reason is ignorance and that’s not an attack on doctors, it’s a reason. They have been subject to the same relentless torrent of reefer madness propaganda from government and media as the rest of society. They have been prevented even from learning about the endocannabinoid system by the authoritarian policy of prohibition and any doctor in the UK who has any experience of cannabis as medicine will have been in breach of professional ethics as well as the law. CLEAR has been working with some of the very few enlightened doctors since way before the cause of cannabis as medicine became fashionable. Working with members, their MPs and doctors, we have organised lobbying of ministers and MPs over more than the past 10 years. In several instances we had doctors, both GPs and consultants, contact the Home Office to enquire about obtaining a licence for a specific patient. In at least three instances these doctors were then contacted by Home Office officials who warned them off using threats and intimidation. Shocking but completely true. It is and it always has been government – stupid, prejudiced, bigoted and self-opinionated politicians – who have prevented access to cannabis, even in the face of overwhelming evidence. This means that there has been no education at all and doctors are as poorly informed as everyone else. They’re also, and understandably, worried, even scared. They don’t understand cannabis, many will not even have heard of the endocannabinoid system and they are concerned about being sued, professionally disgraced, losing their job and now of being swamped by patients demanding cannabis about which they know nothing. There is no reasonable interpretation of the evidence that supports this. THC can be addictive in a very modest sense but the withdrawal symptoms and negative effects are trivial compared to those from opioids which doctors prescribe readily and frequently. There is excellent evidence from many sources that cannabis containing THC and CBD benefits pain and while there may be some cognitive and mental health effects, to suggest they are significant or even come remotely close to those from opioids is false and in opposition to the evidence. I repeat, doctors aren’t saying this because they are bribed by pharmaceutical companies, it’s because they have no idea what they are talking about. The urgent requirement now is medical education. It is amazing how radical the new regulations are and many people still don’t seem to realise how far the government has gone. They go much further than we at CLEAR had even dared to dream and the definition of cannabis-derived medicinal product (CDMP) is very broad. When we were consulted on it by the Department of Health and MHRA we never thought they would accept all our recommendations. They enable the prescription of every form of cannabis, including flower, oil and concentrate, provided they meet quality standards. So the problem with the law is gone. Literally, it is all over. It is absolute and total victory. Now two big problems remain. Education is the first but this is being addressed. NICE has acted commendably fast to start recruiting a panel to advise on prescribing guidelines and Professor Mike Barnes, CLEAR’s scientific and medical advisor has already developed a series of introductory online training modules. Early in November his Medical Cannabis Clinicians Society launches and this will be an important forum for the future. The second big problem is supply. Where are the CDMPs to come from? Sativex falls into the definition and this was GW Pharma’s big opportunity to act responsibly and imaginatively. The possibility still exists that it will substantially reduce the absurd, rip-off price that it has been charging for Sativex since 2010. If it had the imagination it could very easily turn over some of its production to unlicensed CDMPs for which there is now a ready market. I fear that it is wedded to licensed products only, hugely expensive and, in my judgement, unnecessary clinical trials and very high prices for its end products. If so, then I will be selling my shares. I admire the company for its courage, innovation and high standards but if it does not seize this opportunity then I believe it is failing in its duty to shareholders and also to Britain, which let’s remember has gifted it a privileged and unique opportunity in the world. Fail now to provide for the needs of UK patients and that amounts to betrayal. So for now the only possible sources of supply that meet the definition will be Bedrocan in the Netherlands and some of the Canadian licensed producers. US companies cannot export. Neither can the Israeli companies and they would also face a thoroughly deserved boycott of their products even if Netanyahu was to issue export licences. Bedrocan can barely meet demand from its existing customers and there is talk of it having difficulties with a ceiling on its export licenses. Only some Canadian producers meet the required GMP quality standards and they too are facing shortages as they also supply the recently legalised recreational market which is seriously short of product. So the Home Office has to act and start issuing domestic production licences and it has to do so immediately. Whether it will, remains to be seen. Its drugs licensing department is a shambles, staffed by officials who do not even understand the law they are supposed to administrate, who regularly give different, contradictory answers on different days and exceed their lawful authority as a matter of course. If there is a ‘hostile environment’ for immigration in the Home Office, for drugs licensing and cannabis production it has been hostile but also aggressive, paranoid and stupid ever since the Misuse of Drugs Act 1971. 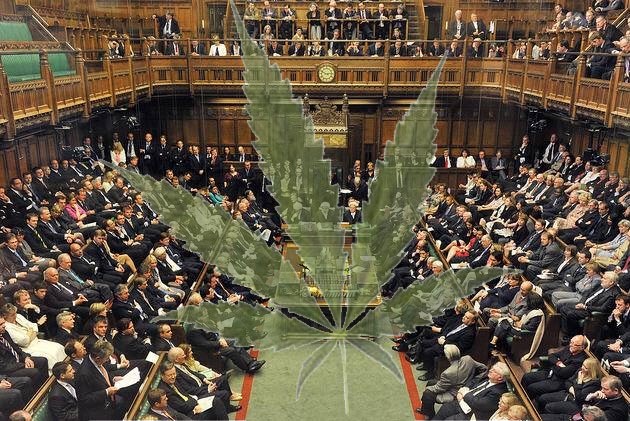 The urgent need is for prospective British cannabis producers to mobilise their MPs and for immediate pressure to be brought on the Home Office at the highest level. Sajid Javid has shown he can act decisively. Expanding domestic cannabis production is the inevitable next step in what he has already achieved. He must act now. So the future in the UK for those who need cannabis as medicine is brighter than could ever have been imagined. The next steps are challenging but nowhere near as difficult as the campaign to reform the law that CLEAR has fought for nearly 20 years. Don’t blame doctors, continue to blame the government and hold their feet to the fire until they act on medical education and cannabis production as they must. With regret, I have withdrawn my endorsement of and support for the Hemp Trade Association Ltd (HTA) trading as Cannabis Trades Association UK (CTA). I created and founded CTA in September 2016. Since November 2016, HTA has traded under the CTA name with my permission and I was appointed to its advisory board. That permission has been withdrawn from 18th October 2018 and I have resigned from the advisory board with immediate effect. Over the two years of HTA’s existence many false claims have been made, in particular about HTA’s relationship with the MHRA and FSA, alleged exclusive stakeholder arrangements and HTA’s ‘authority’ to regulate the CBD market. Further claims have been made by the chairman about his links with the security services, other Home Office staff, ‘inside information’ and unlawful use of government computer systems to run DBS and criminal record checks on prospective members. HTA’s reputation and that of its members was severely damaged by the chairman’s recent conduct in relation to the States of Guernsey, which resulted in official government repudiation of his claims, and his personal feud with a major CBD supplier which is not a member. Members pay membership fees primarily in order to have their interests effectively represented to government and the authorities. In practice, very little if any of this takes place and instead membership fees are used to finance the chairman’s ambitions to establish the Cannabis Products Directive (CPD) across Europe. While some members are supportive of the CPD initiative, it is not HTA’s purpose, nor is extending HTA’s operations outside UK. Instead of representing members’ concerns and interests to the authorities, HTA acts as an enforcer for the authorities. The chairman has confirmed in writing that HTA will “never go against” and will always “work with the authorities”. Members who have complained about lack of action against non-compliant CBD suppliers have been told to “stop bitching”. Non-compliant CBD suppliers is the issue of principal concern to members but HTA has failed to take this up effectively. As a result, it is a positive disadvantage to be a member of HTA as members are subject to stricter enforcement and additional costs than non-members. HTA was fomed as company limited by guarantee deliberately to place control in the hands of its members rather than its directors. Members have not been properly included in decisions. They have been subjected to autocratic rule, prevented from obtaining proxy votes and resolutions at general meetings have been railroaded through without time for proper discussion. Protests by members at such treatment have resulted in them being ejected from discussion groups. A large number of reports have been received from former and current members detailing instances of such behaviour as coercion to join HTA or to comply with HTA policies. Evidence has come to light which reveals that the chairman has a string of 28 dissolved companies behind him and a large number of oustanding county court judgements relating to those companies. He is also indebted to the company of another director of HTA in a substantial five figure sum for a period in excess of two years with no effort made to commence repayment. As a result that director has now resigned. Legal advice has been received which confirms that HTA has been exercising unlawful restrictions on members preventing them from trading freely. This supports allegations that have been published accusing HTA of running a ‘protection racket’. So ‘GPs’ has now become ‘senior clinicians’ and ‘open to patients suffering from all illnesses where such treatment is identified to benefit them.’ has become ‘exceptional clinical need’. 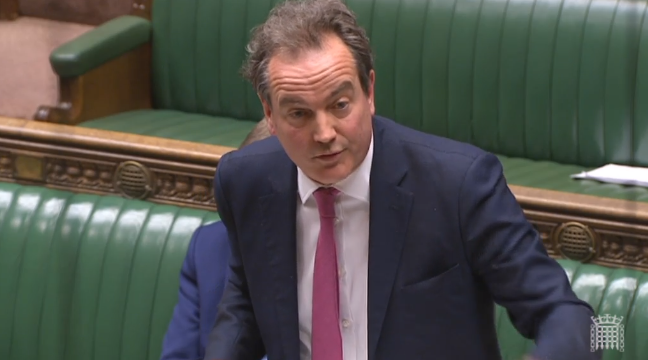 These are dramatic and far reaching changes which wholly change the nature of the promise made by Nick Hurd and will result in a highly restricted and limited regime making it very difficult for anyone to access cannabis as medicine. 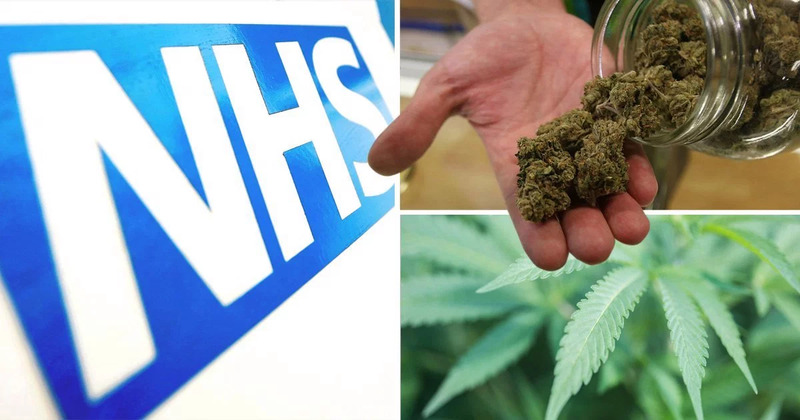 This is a betrayal of the estimated one million people in the UK currently using cannabis to treat medical conditions. It demonstrates how when this issue was in the headlines it provoked what was a sensible, measured and appropriate response. Now that the media storm has passed, in typical Home Office style, a totally different, hardline and repressive policy is being pushed through as quietly as possible. No attempt has been made to explain why there has been such a dramatic change and it is quite clear that the Home Office hopes this will go through without attracting media attention. 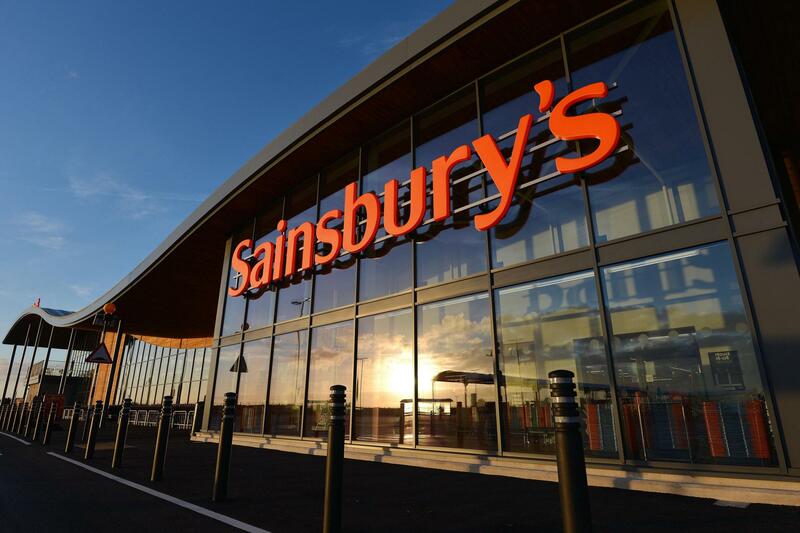 In another demonstration of how fast attitudes are changing, Love Hemp water containing soluble CBD cannabis extract is now on sale in a number of Sainsbury’s stores. This is a remarkable achievement by the team at Love Hemp who are remaining tight lipped about the terms of the deal. A store manager told me that the product is on test in about 100 stores. Cannabis prohibition is crumbling and the Home Office seems increasingly our of touch with reality with its futile attempts to enforce a policy which nobody is taking any notice of. The real effect of the medical reforms should become clear within the next few weeks. The expert panel process has been revealed as little more than a farce. We still have an outstanding FOI Request on the issue but interim responses seem to confirm that not a single member of the panel, so-called ‘experts’ has any knowledge, experience or expertise in the use of cannabis as medicine. We await the definition of a cannabis-based product which will determine which products will be re-scheduled and also a decision on who may prescribe. Initial overtures from the MHRA to both CLEAR and the CTA to consult on these issues have come to nothing. It seems that little if anything has been achieved over the summer break. Home Office licensing policy is also looking increasingly ridiculous. It is refusing any licence application for low THC cultivation where any mention of CBD is made, while every other EU country is striding ahead and British CBD suppliers are having to import all their oil, which they do without any difficulty uner EU free movement rules. 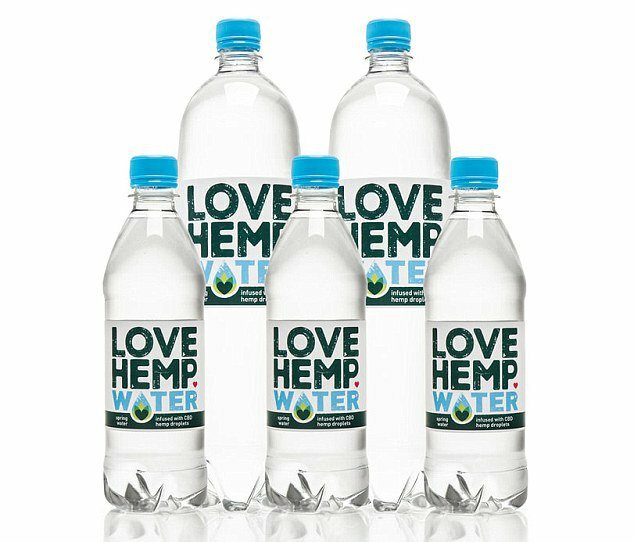 A twist which reveals the absurdity of Home Office policy is that Love Hemp water, which is entirely THC free, is not the first cannabis product that Sainsbury’s has stocked. For many years it has been stocking Good Hemp hempseed oil. Recent lab tests have revealed that THC levels in Good Hemp oil exceed the 1mg limit in each bottle, meaning that it cannot be regarded as exempt under the Misuse of Drugs Regulations. In reality then Sainsbury’s is selling a product that is legally classified as a class B drug.